It is hard to believe the fundamental change a single invention brought to the world, yet that is precisely what the telephone did, suddenly talking to a loved one or business colleague at almost any distance with effortless ease from the comfort of their own home. In today’s world of mobile phones and Internet telephone we take for granted the fundamental shift to society that occurred with the invention of the telephone. Children learn to tie two tin cans together using twine and hold them tightly apart from each other thus allowing sound to carry from one to the other, and if this is attached to a bell as well the entire system can become a rudimentary telephone as we might see in the Flintstones cartoons, but real telephones require electricity and components that can only be made with the right tools and materials. The sound carried by the twine is due to sound vibrations along the twine which echo in the tin can. This is a completely different system from that used on ships where long hollow pipes in the ships bridge could be carried down to the engine room or galley simply from confining the sound vibrations into a pipe. In the early 1800s the electric telegraph had been invented and was reliably carrying messages of all sorts wherever a telegraph office could be sited. It was his desire to improve the telegraph, and knowledge of sound waves thru teaching elocution to deaf students that gave Alexander Graham Bell the idea for inventing the telephone. History has been kind to Bell, crediting him with being a gentleman as well as the inventor of the telephone, although he very nearly lost that honor. On the same day that Bell applied for his patent for the telephone, the 14th of February 1876, so too did Elisha Gray, another prominent inventor whose caveat to the US Patent Office described a water transmitter to be used in his own telephone. Sadly, Bell’s lawyer and the clerk of the patent office, an habitual drunk, had served together in the Civil War and conspired to have Bell’s patent registered first, initially by adding additional notes to Bell’s application, and then delaying Gray’s caveat until Bell’s application could be presented. When the patent examiner realized that both applications were similar he called a halt to processing both until they could be demonstrated. Bell demonstrated the technique devised by Gray and was granted the patent, which was subsequently upheld in a court of law. Historians since those times now recognize that Gray would have been considered the inventor of the telephone were it not for Bell demonstrating the technology first. The very first words ever uttered thru a telephone occurred in Bell’s lab with his assistant Thomas Watson who was reported to have heard Bell saying “Mr Watson, come here, I want to see you”. The techniques developed by Alexander Graham Bell and Thomas Watson directly led to the first commercial telephone services only a year after Bell’s patent was registered, however other worthy scientists prior to Bell, men like Antonio Meucci of Italy, of Johann Reis of Germany had also demonstrated telephone prototypes, though their techniques weren’t quite as advanced Thomas Edison adopted some of Reis’s ideas in the creation of the carbon microphone. Boston was the first city whose citizens benefited in 1877 with the first telephones being installed. Initially subscribers were paired and could only speak to one another. Telephone switchboards were quickly invented that allowed subscribers to talk to any phone connected to the same set of telephone lines, the first entering service in 1878 in New Haven. Within the first three years of commercial telephone service being available the United Stats boasted nearly 50,000 telephones. The invention of the telephone switchboard resulted in subscribers needing a way to effectively connect with each other without having to speak to an operator, which at the time was the only way of allowing different telephone lines to be connected and used a series of short cables that would be plugged into a board to which the subscriber’s line was attached. Each of these original telephones would also have it’s own power source, typically a battery in the case of the telephone that needed periodic replacement. Early telephone exchanges were locally based, a subscriber could only talk to another subscriber on their own exchange by asking an operator to place the call, and if calls to other local exchanges were required the operator would liaise with the next operator in a sequence to connect the call. Long distance calls could not be placed from home, subscribers were required to make an appointment with the central telephone office to use a specially built booth that contained a shielded telephone with greater electrical capacity that could transmit over longer wire distances. Electromechanical exchanges were invented by the major telephone companies in the early 1900s along with the rotary dial telephone that would send a series of pulses to the exchange, and then with no human intervention, allow a call to be placed. The US adopted this technology quickly, after all in 1904 over three million subscribers were connected using manual exchanges, and requiring the employment of tens of thousands of operators. 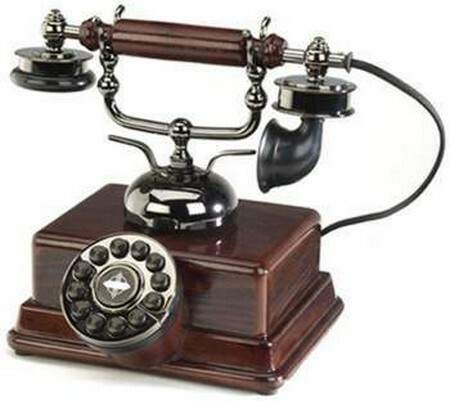 The actual telephone device used in the home underwent significant development i the 1920s when Western Electric developed a phone that incorporated a handset that included both the earpiece and microphone, and for the first time allowing subscribers to move, sit down, or stand up during a call rather than remain fixed in a single position with their ear pressed against the earpiece which itself was part of the base unit. 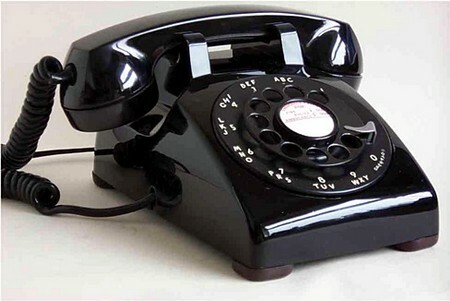 The Bell Model 102 was the very first development of this type of telephone, a style that remains popular today with many telephone handset manufacturers constructing modern replicas of the Model 102. After the 1930s telephones didn’t change much until the introduction of digital telephones and exchanges in the 1960s, an improvement that is still being rolled out globally, but which didn’t really impact many subscribers other than their telephone using tones instead of pulses to initiate a call. Digital telephony did however usher in the era of mobile telephones that used radio waves to transmit wirelessly, and first demonstrated by an engineer working for Motorola in 1973. Large scale consumer uptake of mobile phones didn’t start until the late 1980s and early 1990s, although by 2005 mobile phone connections in most developed nations had outstripped the number of fixed line connections. Learn more on who invented the telephone. Trucchi Boom Beach utilizzando una nuova tecnologia che ti permettono di fare quest hack lavoro su tutti i dispositivi.